I was a major chocoholic when I was little (still am by the way). But I did not like any candy that was sour, fruity, or gummy. Fortunately, I have a friend who hates chocolate but is obsessed with everything sour, fruity, and gummy. After every Halloween, both of us would haul a huge bag of the candy we disliked on the bus to trade. It was a Win-win. I’ve come to realize that I don’t hate everything sour though. I think it was just the extreme ingredients in the candy. I blame candy for the reason why I never liked or tried grapes and cherries. The artificial flavors taste nothing like the real thing (obviously)! Combine dried cherries, almonds, vanilla extract and salt in a food processor. Pulse until almonds break into small pieces. Add in water and blend until a ball forms (be patient!). Form into small balls. Store in the fridge. 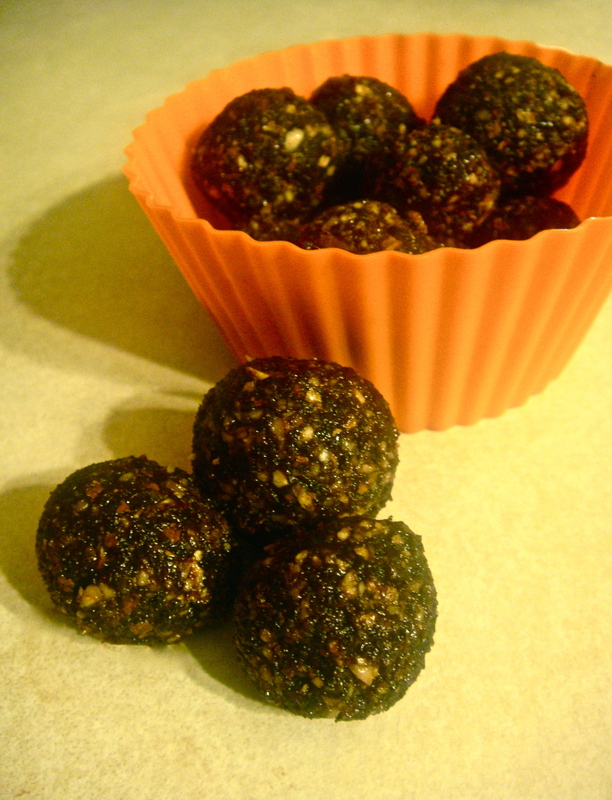 Monday night, I made a bunch of these power balls to serve as a pick-me-up for my first week back at school. For some reason, the first week of school is always the most exhausting. Probably because I’m still getting into the groove of things, have to deal with getting to school early to figure out parking, and listen to the standard lecture of “here’s what I except of you this semester” over and over again. Needless to say, the days of the week all blur together. Thank goodness for a little pick-me-up. 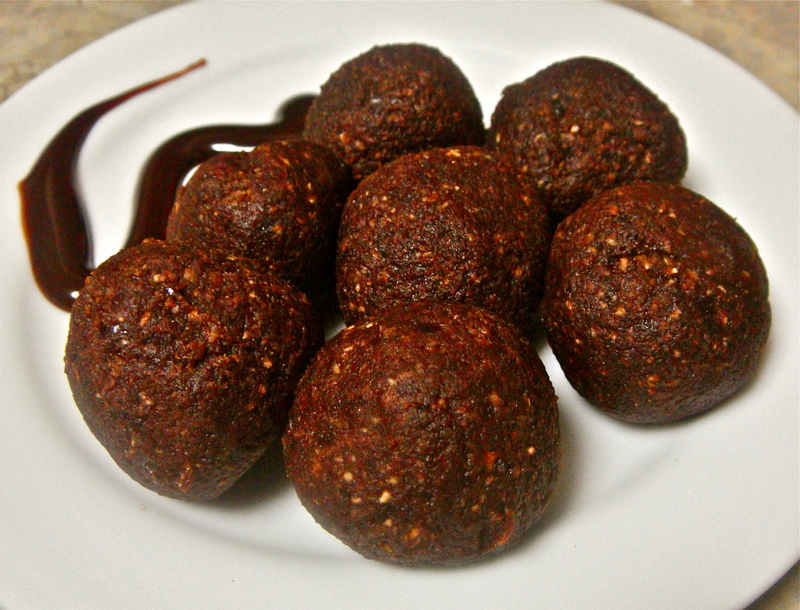 Now, I’ve been making these power balls for awhile now (not to be confused with my energy balls). In fact, I made them a lot for my sister when she was trying to adjust to her work and eating schedule at her new job. At Halloween time, a bunch of her coworkers brought in candy to share with the office. My sister actually declined the candy in order to eat the power balls as she said that the balls were more tasty and satisfying. Since then, several of her coworkers have asked for the recipe! Mix all ingredients together and roll into balls. If the mixture is too dry, add more peanut butter. 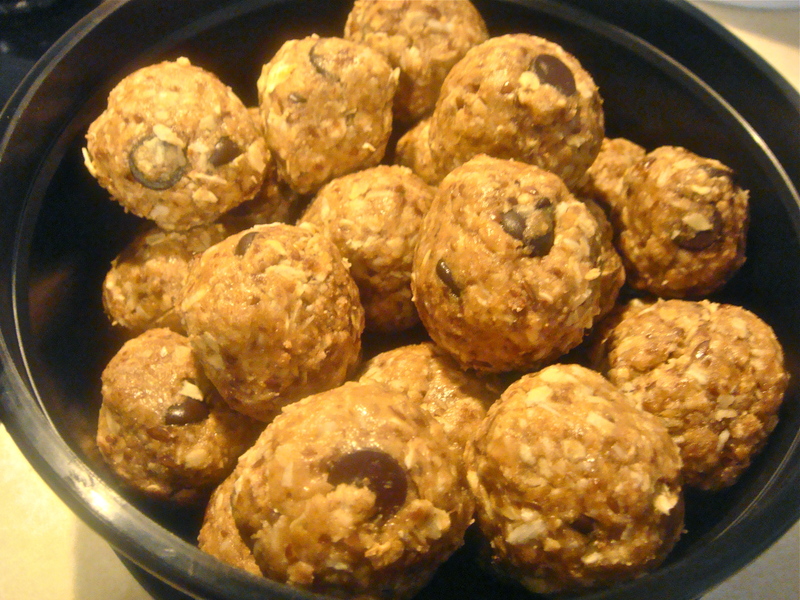 If the mixture sticks to your hands too much, add more oats. Store in the fridge. I feel so sad. Labor day has arrived. That means the end of summer and back to the books for me 😦 Many late-night-paper-writings to come. Lucky I have these little power balls to give me some energy. For those weary of dates, fear not- they are not detectable at all. I know this for a fact as my mom, who hates raisins and everything similar to it, unknowingly ate one and asked for another… and then some more. Soak dates in water for at least 2 hours. Drain and blend in a food processor until smooth. Add in the rest of ingredients and blend until combined. 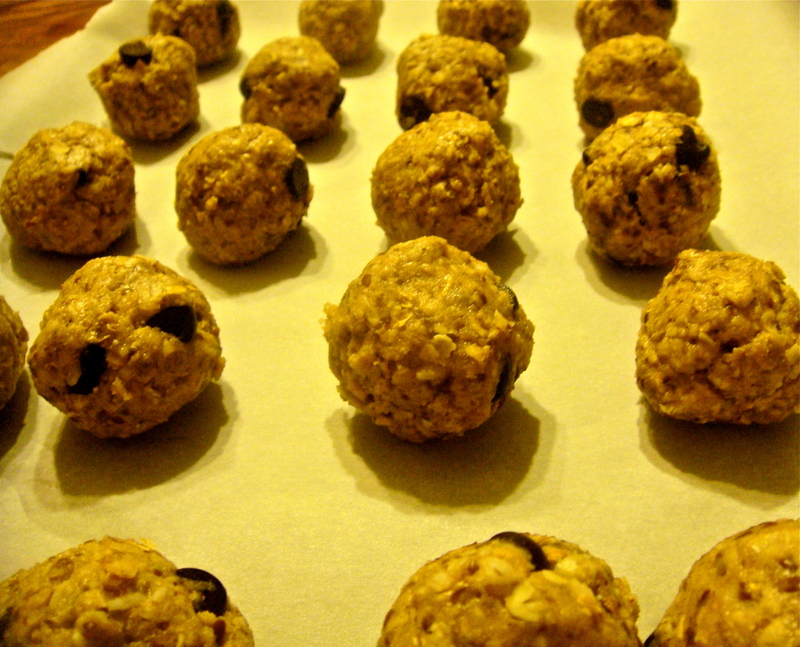 Roll the mixture into desired-sized balls (you can also shape these into bars).